CG Says: The 2019 Buick LaCrosse gains a new Sport Touring model with unique grille and 19-inch wheels. Standard power for LaCrosse is GM’s eAssist system that combines a 2.5-liter four-cylinder gas engine with a compact electric motor for a total of 194 horsepower. Also available is a 310-hp 3.6-liter V6 engine paired with a 9-speed automatic transmission. All-wheel drive is available with the V6 engine. The model lineup ascends through 1SV, Preferred, Essence, Premium, new Sport Touring, and Avenir trim levels. Available features include an adaptive suspension system, massaging front seats, wireless phone charging, and power-adjustable steering wheel. Available safety features include forward collision warning and intervention with pedestrian detection, blind-spot alert, lane-departure warning, lane-change alert, lane-keep assist, and rear cross-path detection. 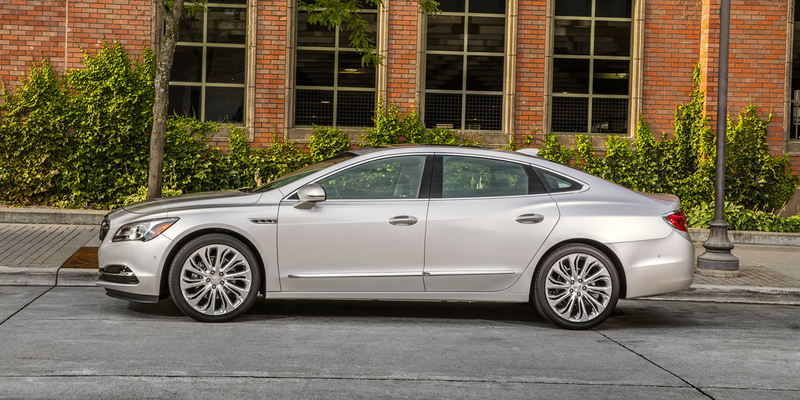 The recently redesigned Buick LaCrosse improves on its predecessor in pretty much every way, offering more interior and cargo room, desirable new technology features, and handsome new styling. 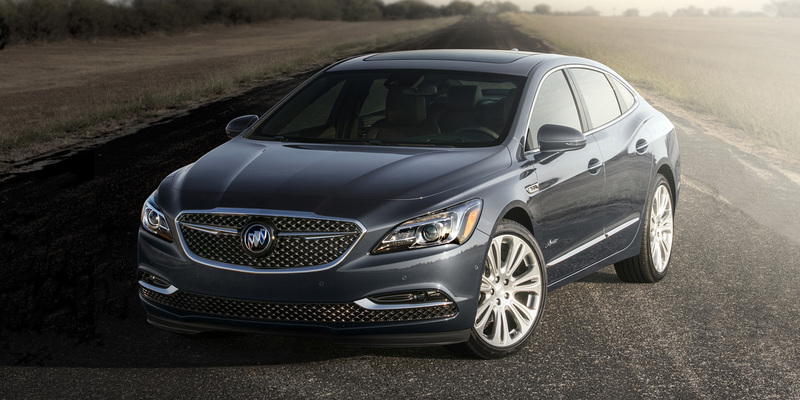 When properly equipped, it also delivers a surprisingly nimble driving character that’s sportier than you’d expect from a big Buick sedan. The new LaCrosse has moved upmarket from its predecessor, and the prices have risen accordingly—but this classy, comfortable, and confident big sedan justifies its cost.